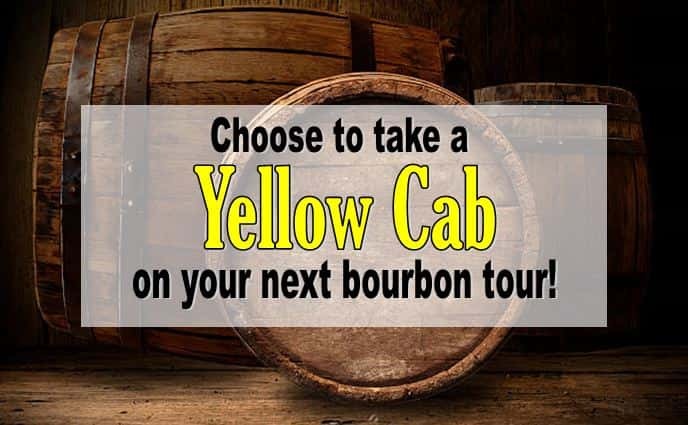 Yellow Cab can take you to your next bourbon tour! We have posted the map below from kybourbourbontrail.com that marks out how far each distillery is from each other. Option 1: (ORANGE or BLUE) This is an 8-hour charter! This is going to be your personal driver for the day! You will get to go to the 4 distilleries in Louisville and either the 3 distilleries towards Bardstown OR the 3 towards Lexington. You are responsible for purchasing your tickets. Yellow Cab is not responsible for sold out tours and cannot promise the availability of hours of the distilleries, so we do suggest booking in advance or calling ahead. You can choose to stop and get lunch at a location of your choice! Flat rate of $450! All charters are pre-paid in full and require a card to remain on file in case the time goes over, in which case you will be charged $65 per hour. If you are interested in going to the distilleries in Downtown Louisville, contact Charters@GoLouCab.com for pricing. 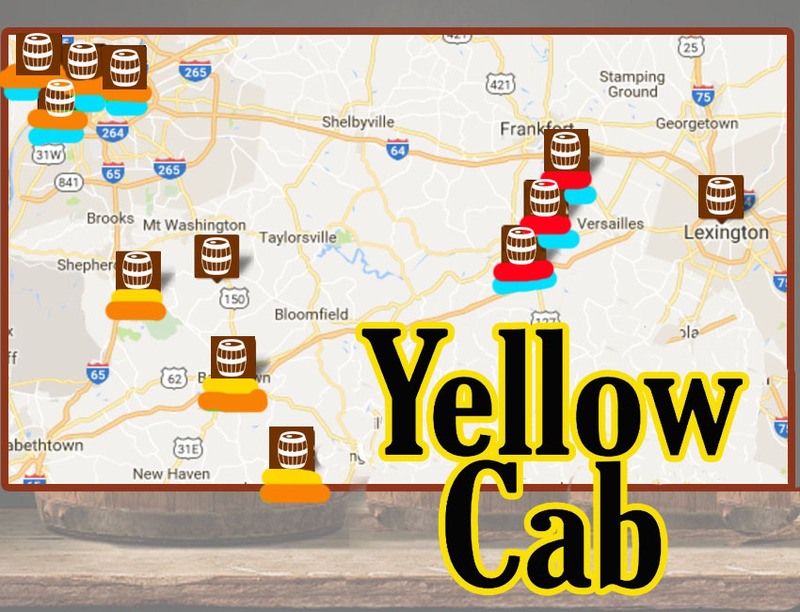 If you want to book a cab for a straight ride from one distillery to another or your home to a distillery you can book when you click the HOME button, download our GoLouCab app in the Apple and Android App store or call/text 502-636-5511. All regular cab rides will be the normal meter rate- WE NEVER SURGE!!! You can get your estimated fare when you download the app BEFORE you book!